NextAre You Afraid Of Change? So you have set your goals, you have had a little chat with yourself about negative self-talk and self-sabotage…what now? Now you need to get down to the nitty gritty of doing it! And if your goal is related to your health, then it will be all the more important to start taking action. 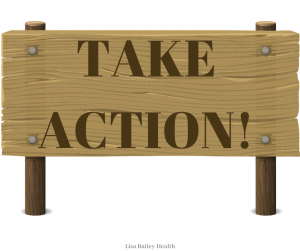 Here is a little life lesson that happened just over a year ago that serves as a warning about not stepping up to the plate and taking action – particularly when your health is at stake. I had a new client arrive for a consultation. She had come to the realisation that she needed to do something about being overweight and unfit and was ready to make some changes in her life – or so she said. She was a friend of an existing client who has seen some excellent health progress over the time she has been working with me. This new lady was very bubbly and seemed to be excited about the prospect of doing something about getting her health in check. We went through the usual assessment forms and then I did a body composition analysis to get a baseline for her. She was shocked to see the results. Her body fat percentage was in the obese range, her muscle mass was extremely low and her metabolic health put her years ahead of her actual age. She signed up for a nutritional program with me, with a view to starting an exercise program later on once she had got to grips with better eating habits (although she said she would start to walk regularly and perhaps go to a local Pilates class). I always keep in touch with my clients regularly to check in and see how things are progressing, but this particular lady was quite evasive, after her initial excitement about getting started. With each email reply she said she hadn’t got going yet because she was going on holiday first (and didn’t want to “restrict” herself), but would get onto it afterwards. When she returned there was another reason not to start, followed by another. This continued for a year (yes, procrastination for a year!) despite my encouragement and different tactics to try and help her. A couple of months ago I heard from my existing client that the lady in question had just been diagnosed with oesophageal cancer. Now obviously, I am not claiming that doing my program would have prevented this as cancers can take a long time (years often) to develop. But certainly it may have helped her recovery. She had chemotherapy and was scheduled for surgery to remove the tumour, which entailed shortening the oesophagus and raising her stomach higher – an extremely invasive and high risk surgery. She was told that she needed to lose weight and get fitter for her chances of survival to be higher. She started walking every day. By this time the tumour was so large that she was unable to eat properly and was restricted to eating mainly soups. She lost some weight and was walking more briskly and for further distances. But sadly it was a question of too little too late. She had the surgery but after a week they were still not able to wake her. She passed away with so much to look forward to; plans that she had made whilst undergoing treatment, trying to stay positive and look to the future. It is heartbreaking. The question I have for you is – what are you waiting for? I wish I could have done more for this lovely lady. It makes me feel so sad that despite everything she just couldn’t get herself motivated to start the program properly and get her health in check. There was always a reason to avoid making the changes necessary. She always said that she “felt fine” at the time, and had no signs of any illness. Because she didn’t feel that she had any major issues, the weight loss and lack of muscle tissue and general strength and fitness were not a priority for her. Had she started the program immediately then she may have been in a much healthier state to have survived such an ordeal. The lesson here is obvious. Don’t wait until you become ill to make changes – it may be too late. Changing your eating and exercise habits today is for your future health. 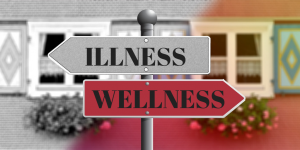 You may feel that you don’t have time right now to exercise or cook from scratch, but if you become ill then you will have to make time for doctor and hospital visits – which will be much harder than any changes you may need to make today. You may “feel fine” right now, but we never know what is around the corner, or how good we could actually feel with just a few tweaks to our lifestyle. 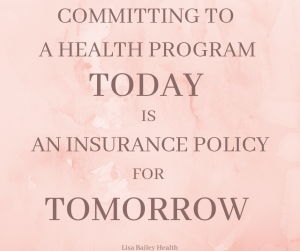 Committing to a health program today is an insurance policy for tomorrow. If you need help then seek advice from a professional – but then heed their advice. Take it – and run with it – and do your very utmost to be the best version of you that you can possibly be. Change is hard, breaking habits is hard, but none of it is impossible. And once you get started and begin to reap the rewards you will wonder why you didn’t start sooner. 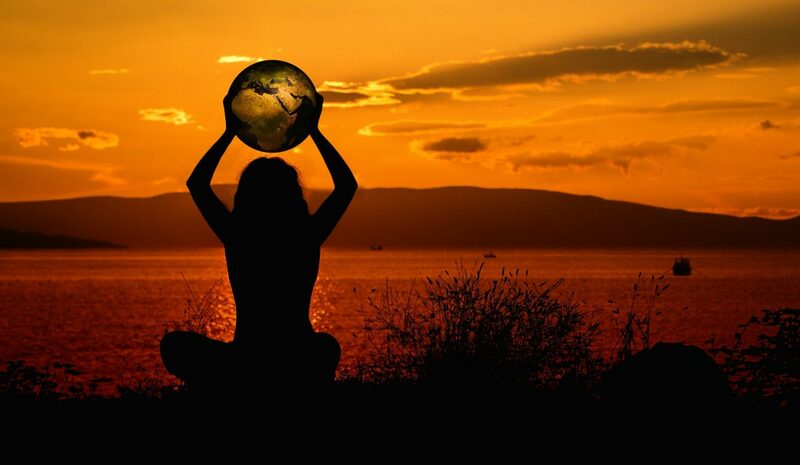 The whole world is in your hands for the taking…my advice? DO IT NOW! Do you need help getting started? Click here to schedule a consultation today. How Do Your Relationships Affect Your Success?